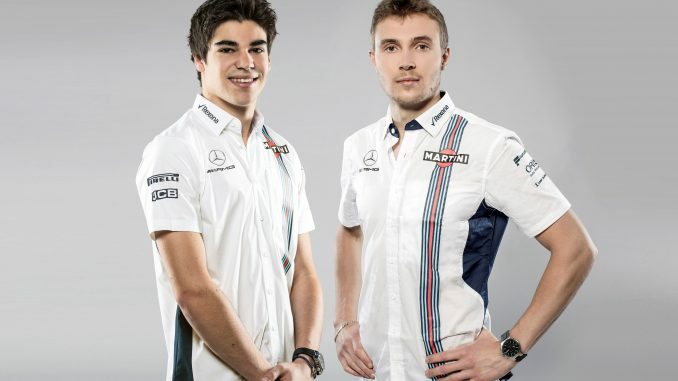 Williams have finally announced their lineup for the 2018 Formula 1 season, confirming that Sergey Sirotkin will drive alongside Lance Stroll. 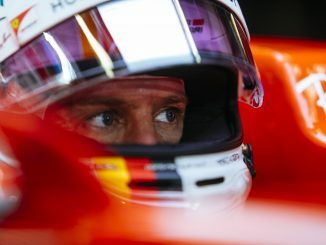 The Russian had been the favourite to land the race seat after impressing in the Abu Dhabi tyre test at the end of 2017, beating Robert Kubica to the drive. Kubica will be involved this year though, securing the reserve and development role for 2018. Williams revealed Sirotkin, who was a test driver with Renault for the majority of the 2017 season, has already been preparing for his rookie season at the team’s factory, despite only confirming his appointment today. Some feel Sirotkin has secured the race seat due to his financial backing. He comes with sponsorship from SMP, and Williams freely admit they don’t have the biggest budget in the paddock. However, in the tyre test Sirotkin set his fastest lap on soft tyres, and was just 0.5 seconds off the pace of Kubica on the new ultrasoft tyre. The delay in announcing who will partner Stroll means Williams will have had time to assess Sirotkin further, determining whether his pace is consistent. It had been thought he was in line for the reserve role when he arrived at Williams for the tyre test, but he’s clearly done enough to impress the decision-makers at the team. Sirotkin has his supporters in F1. After he left Renault, Cyril Abiteboul and Nico Hulkenberg both spoke favourably about the young Russian, while even Kubica admitted Sirotkin deserved a chance in F1. He finished third in GP2 two years running, but only have limited on-track time in 2017, completing a few FP1 sessions with Renault, standing in for a couple of F2 races and finishing 16th at the 24 Hours of Le Mans with SMP. Many fans wanted to see Kubica back on the grid in 2018, completing a remarkable comeback from a partially severed arm which up until six months ago appeared to have ended his F1 career. Since completing his first test for Renault at Valencia last June, the winner of the 2008 Canadian Grand Prix has worked hard to prove his fitness, taking part in the Hungarian test for Renault before switching to Williams for the Abu Dhabi tyre test. 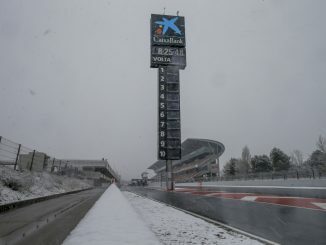 Kubica showed he was physically capable of completing race distance and being in the car two days running, which seemed to point towards his return. Although he’s missed out on the race seat this time, continuing in the reserve role keeps him in the team’s thoughts should Stroll or Sirotkin not work out in 2018 and gives him the opportunity to continue working on his comeback. Another year around the paddock, potentially taking part in practice sessions, tests and working in the Williams simulator could pay off in the long term. There were concerns about how Kubica’s surgically-repaired arm would cope week-in week-out, but keeping him around gives Williams longer to assess his fitness. Once Sirotkin emerged as favourite for the race seat, this was really the only option for Kubica, as most other teams had confirmed their 2018 drivers. Williams have already confirmed he’ll have a “particularly active” role within the team, including taking part in pre-season testing in Barcelona, in-season testing and race weekend practice sessions. 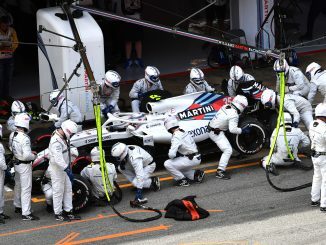 The team also hopes Kubica’s experience will help its drivers and engineers set up the car for qualifying and race performance, adding he could stand in as a race driver if required. Deputy Team Principal Claire Williams says she’s looking forward to working with him this season, while Chief Technical Officer Paddy Lowe revealed he’s admired Kubica for years. Another factor is Kubica’s appointment is his age. Williams’ title sponsors Martini require a driver aged over 25 to carry out promotional activities, but Stroll and Sirotkin are both too young. At 33, Kubica will be able to fulfil Williams’ requirements with the drinks company, with the team confirming he’ll be involved in the sponsorship support programme. Sirotkin and Kubica’s arrival could put pressure on Stroll going into his second season in F1. The Canadian had an up and down debut season, recovering from early mistakes to become the youngest driver ever to stand on the podium, before tailing off towards the end of the campaign, with just one points finish in the final five races of the season. It had been reported that the Stroll family, who provide hefty financial support to Williams, wanted an experienced driver that the 19-year-old can learn from, with Fernando Alonso reportedly top of their wishlist. Sirotkin is a couple of years older than Stroll, but in F1 terms is the less experienced of the two and is unfamiliar with the team. Should Sirotkin outperform Stroll this season while bringing money to the team, it could put Stroll’s position at the team in jeopardy, particularly with Kubica waiting in the wings for a race seat to open up.